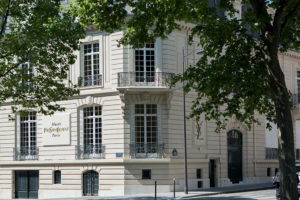 The website www.museeyslparis.com is operated by the Musée Yves Saint Laurent Paris. The Musée Yves Saint Laurent Paris is an association formed under French law 1901, with its registered office located at 5 avenue Marceau, 75116 Paris, France. The Website is operated by the Musée Yves Saint Laurent Paris, an association formed under French law 1901, with its registered office located at 5 avenue Marceau, 75116 Paris, France (VAT number: FR 62 418 424 099). Please read carefully these ToU. By accessing and browsing the Website, you accept the present ToU with no reservations. If you do not want the present ToU to be applicable to your navigation on the Website, please immediately stop consulting the Website. The user may be held liable for any violation of the ToU. In addition, the user’s access to the Website might also be suspended. The Musée Yves Saint Laurent Paris may from time to time amend the present ToU, in order to integrate changes in laws or regulations, changes in the conditions of the market, changes in the parameters for the navigation, as well as for any other reason that the Musée Yves Saint Laurent Paris, at its discretion, would consider useful. Any user accessing the Website will be bound by the ToU in force on the day the Website is consulted. Any substantial modification of the ToU will be mentioned on the Website. When modifications are made available to you, your continued use of the Website will be considered as an acceptance of the modifications. If you do not accept the modifications of the ToU, please stop using the Website. You cannot amend or revise the ToU and no modification that you would attempt to make would be binding for the Website. Users can navigate the Website without having to register. 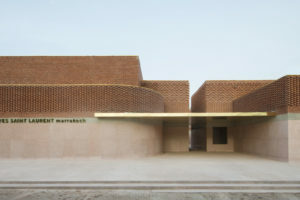 However, any user wishing to purchase ticket(s) to access the Musée Yves Saint Laurent Paris or its cultural activity (“Ticket”) will be required to create an account on the Website (“Customer Account”). If he/she holds a Customer Account, he/she will have the possibility to log onto such an account beforehand to place his/her order more quickly. In principle, the Website is available on a 24h/7 day basis, save any interruptions, planned or not, for maintenance purposes or for a force majeure event. The Musée Saint Laurent Paris is not liable for any damage, of any kind whatsoever, resulting from an unavailability of the Website. In addition, users are informed that due to characteristics that are inherent to the Internet, the data that are transmitted through the Website are not protected against any risk of misuse and/or hacking, of which the Musée Yves Saint Laurent Paris shall in no event be held liable. You are responsible, as the case may be, for taking any appropriate measure in order to protect your computer and/or your data, notably by installing any relevant technical tool such as, for instance, an antivirus, a firewall, or an automatic cleaner, etc. The Musée Yves Saint Laurent Paris cannot be held liable for any breach of or delay in performing any of its obligations under these ToU that would result from events outside our control (“Force Majeure Events”). fires, explosions, storms, floods, earthquakes, epidemics, or any other natural disaster. The obligations of the Musée Yves Saint Laurent Paris under the ToU will be automatically suspended for the duration of the Force Majeure Event. The Musée Yves Saint Laurent Paris will use its best efforts to remedy any problems caused by the Force Majeure Event and to find a solution enabling to perform its contractual obligations as soon as reasonably possible. All the items (texts, images, photos, videos, logos, drawings, trademarks, patents, databases, domain names, etc.) displayed on the Website or any other related website owned by the Musée Yves Saint Laurent Paris are protected by intellectual property rights and cannot be reproduced or used without the prior consent of the Musée Yves Saint Laurent Paris. No one is authorized to exploit, circulate or use the intellectual property rights including, but not limited to, the rights on the name Musée Yves Saint Laurent Paris, without the Musée Yves Saint Laurent Paris’s prior written consent. The trademarks and logos owned by the Musée Yves Saint Laurent Paris are registered trademarks. Any reproduction without the Musée Yves Saint Laurent Paris’ prior consent constitutes a trademark infringement. The personal data communicated by any user (in particular when creating a Customer Account under the conditions set out on the Website) are processed by the Musée Yves Saint Laurent Paris in order to manage the relationship with users, and, as the case may be, to manage the orders and the performance of contracts entered into with users who made a purchase on the Website. Personal data will be stored for a duration that is necessary to the purpose of the data processing. Moreover, any user may subscribe to the Musée Yves Saint Laurent Paris’ newsletter and receive commercial offers about the Musée Yves Saint Laurent Paris’ events and its different activities, provided that such user previously and expressly authorized such solicitation. In accordance with the French Data Protection Act, dated 6 January 1978, as amended, each user has a right to access, rectify and delete personal data or object to the processing, by writing to the Public and Communication Service stating which contact details are specified in Section 10. Users can also give any instruction to the Public and Communication Service concerning the use of their data after their death. A cookie may be stored on the user’s computer in order to record browsing information. Any user accessing the Website can object to such cookie by configuring his/her web browser to this effect. The present ToU and any claim arising from the use of the Website are governed by French law. In the event of a claim, users can reach the Public and Communication Service by mail or by email, with the email address indicated in Section 10. The Musée Yves Saint Laurent Paris commits to deal with any claim as quick as possible. In case of dispute, the user can call upon a third party mediator in order to reach an amicable settlement. If no amicable settlement can be reached, any legal action must be brought before the competent Court in France. Users can contact the Public and Communication Service by sending an email at publics@museeyslparis.com.